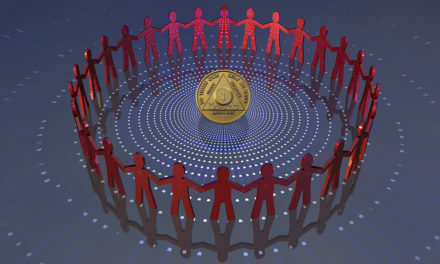 “A popular statistic thrown around by the recovery society and treatment advocates says that “only 1 in 10 addicts get the treatment they need.” Depending on the data you look at, this is approximately accurate numbers wise – only 10-20% of Americans who have ever fit the diagnosis of addiction get formal help at some point in their lives (in the form of treatment, support group attendance, or a combination of both.) The rest never get any formal help. The question you should be asking is what happens to the 80-90% that doesn’t get treatment? Are those people dying? After all, recovery ideology says you can’t quit an addiction without treatment. In fact, those people aren’t dying. They’re getting over their problems at a rate that equals and often surpasses success rates for those who receive treatment. So the claim that treatment is needed is dreadfully wrong. Nobody needs treatment for addiction. The folks who say this have a biased view. They work in treatment, they only see people who go to them for treatment, and then they teach those people that they’ll die if they don’t stay involved in treatment and support groups. Most treatment advocates are only privy to research done on those who’ve undergone intense indoctrination in treatment; they are generally unaware of what happens in the lives of those who don’t sign on to recovery ideology. They don’t know what becomes of the other 80-90% who never gets formal help. Luckily though, this information is available. 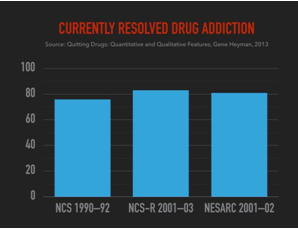 As you can see, between the 3 studies shown here, approximately 80% of people who were ever “addicted to drugs” were not currently “addicted.” That is, they resolved their drug use problems. Collectively, those studies surveyed over 60,000 people in the general population. Data like this makes mincemeat of the biased handfuls of subjects most addiction studies pull from treatment programs only. The last study on that chart, NESARC, had the largest survey group (43,000 people), and offered some of the most detailed information available. It offered data that compared treated alcoholics to untreated alcoho lics. Take a look at the results in the chart. 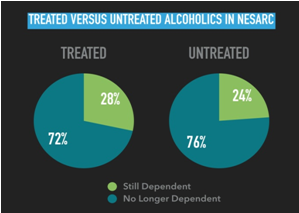 As you can see, the likelihood of ending alcohol dependence is nearly equal for both treated and untreated alcoholics (slightly higher if you don’t get treatment). All of them met the diagnostic criteria for alcohol addiction, and yet it made almost no difference whether they were treated or not, most eventually resolved their problems. Your conclusions would be correct. 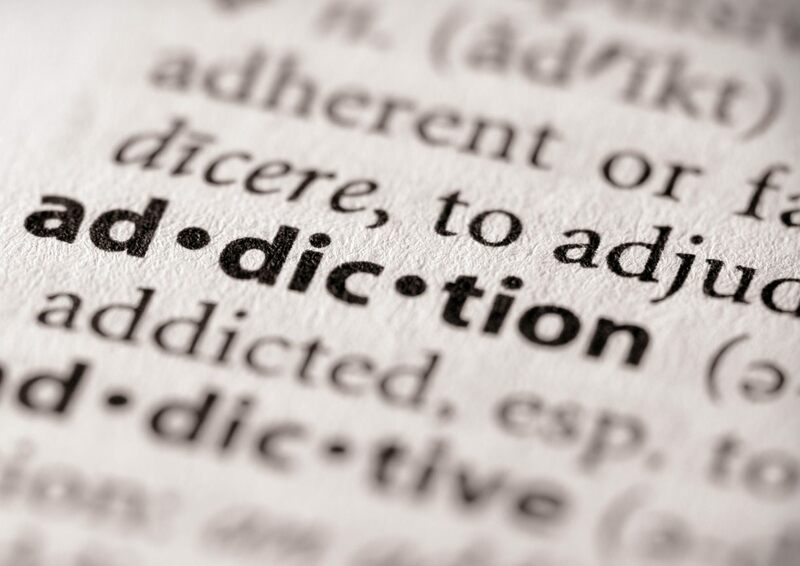 And these are the correct conclusions about addiction treatment. Nobody needs it, and it’s important for you to realize that it doesn’t really “work” for anyone (in the sense of causing them to stop or reduce their drinking.) 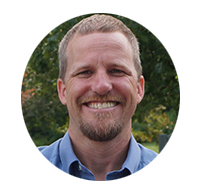 There are people who will attribute their “recovery” to addiction treatment, because it is part of their history and so they assume they needed it and that it helped them. They are as wrong as someone who took a placebo, got over a medical problem by processes of their own immune system, and then credited the placebo for their recovery. They would’ve gotten over their problem without the treatment. People get over their addictions. This is a fact. They do not need to be “treated” for a disease that does not exist. They need the facts, and then they can make their own determination whether they want a change in their behavior and their habits. 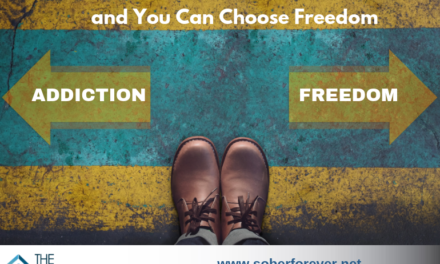 The Freedom Model provides the facts so an educated and informed decision can be made. Are you ready for a change? 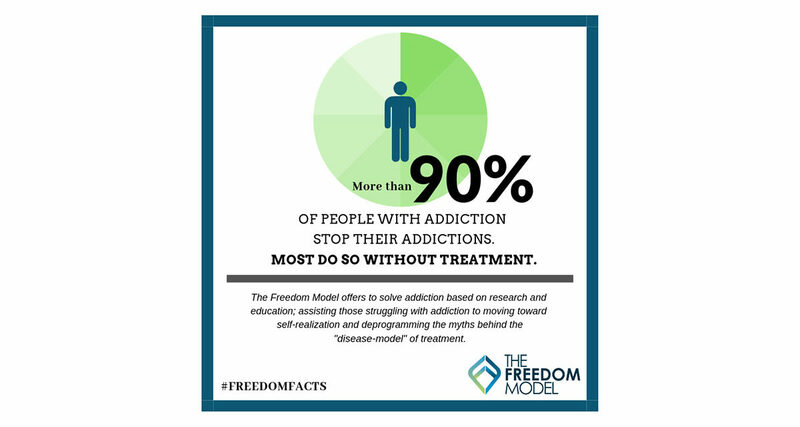 If so, take some time to read The Freedom Model and learn how to move on from both addiction and it’s stable mate, recovery, and learn to be truly free.